April 6 | 3:45 - 5:45 pm 1743 E Main Street, Plainfield, IN Saint Archer Gold is a Helles-inspired Lager. At 95 calories and 2.5 grams of carbohydrates per 12oz serving, this is a sessionable option. Craft beer quality with lower calories and carbs! Come give is a try. April 6 | 4:30 - 5:30 pm 1266 N Madison Avenue, Greenwood, IN 46142 Celebrate Yuengling's 190 Anniversary with a Tasting at Payless! Come sample traditional Yuengling Lager & Golden Pilsner. 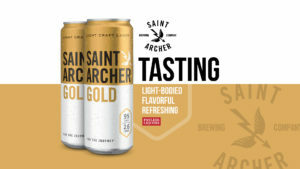 April 6 | 5:30 - 7:30 pm 9520 Uptown Drive, Suite G, Indianapolis, IN 46256 Saint Archer Gold is a Helles-inspired Lager. At 95 calories and 2.5 grams of carbohydrates per 12oz serving, this is a sessionable option. Craft beer quality with lower calories and carbs! Come give is a try. 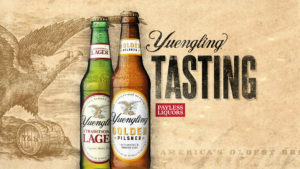 April 6 | 6:00 pm - 7:00 pm 954 N SR 135, Greenwood, IN 46142 Celebrate Yuengling's 190 Anniversary with a Tasting at Payless! Come sample traditional Yuengling Lager & Golden Pilsner. Payless Liquors #24, 14580 RIVER RD. April 6 | 6:00 pm - 7:00 pm 14580 River Road, Carmel. IN 46033 Celebrate Yuengling's 190 Anniversary with a Tasting at Payless! Come sample traditional Yuengling Lager & Golden Pilsner. Copyright © 2015 Payless Liquors. All Rights Reserved.